Note:The US Kindle edition will be available shortly. World Cruising Routes…might just be the more important book for long-distance voyagers to come along in decades. 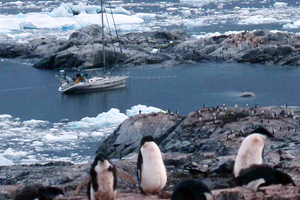 Long established as the bible for long-distance cruisers and a bestseller since its first publication in 1987, World Cruising Routes is a comprehensive guide to over 1,000 routes covering all the oceans of the world from the tropical South Seas to the high-latitudes of the Arctic and Antarctic. The most important changes in the fully revised eighth edition (2018) focus on the effects of climate change, especially on routes that are vulnerable to changing weather conditions. All routes influenced by tropical cyclones have been updated to take into account the risk of less predictable tropical storm seasons. The information on certain routes has also been updated in view of the current global weather data used in the latest edition of Cornells Ocean Atlas. Geared specifically to the needs of cruising sailors, the eighth edition provides over 6,000 waypoints to assist navigators in planning individual passages. It is the perfect one-stop reference for planning a voyage anywhere in the world. Would you like to comment on World Cruising Routes? After transiting the Panama Canal, a group of us were headed to the Galapagos Islands. We soon separated and I continued on my own. I had great difficulty getting out of the Bay of Panama and, whichever way I turned, the wind and current always seemed to be against me. Rather than the eight- or nine-day passage, it took me 16 days to get there. When I finally arrived, everyone told me how concerned they had been for my safety. ‘What had actually happened?‘ one of them asked me. ‘Not much” And I told them of my ordeal. 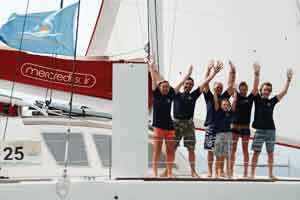 My wife and I completed our circumnavigation yesterday, sailing over 48,000 miles in over seven years. Your books, especially World Cruising Routes, was instrumental in giving us confidence to venture into places we might not have considered and for that we are eternally grateful. What I like about the book is that it is so easy to reference. Routes are in both alphabetical and region order and are numbered for back reference to the full description in the body of the book. Every route can be seen on a map with the accompanying text giving the best time to go; when tropical storms occur, which charts to use and which pilots. The rest of the description is a useful short mix of weather, current, hideaways and bolt holes, oddities and ways to get round them and pros and cons of when to go. 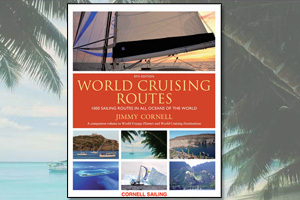 The venerable World Cruising Routes is the must-have guide to world cruising. I wanted to say a huge thank to Jimmy, I sailed on this route March-April 2015, 5000 miles, Panamá-Galapagos-Easter Island-Puerto Montt Chile, and Jimmy’s “World Cruising Routes” was the Bible that inspired and prepared myself with safety to have a very wonderful trip. A must for every circumnavigator, and fascinating armchair reading for the rest of us.